Before we discuss Lagnam Spintex IPO at length, let’s spend some time talking about the company. Lagnam Spintex was originally incorporated on June 11, 2010. It is an ISO 9001:2015 certified Company engaged in the business of manufacture of high-quality yarn for domestic and export market ranging from count Ne 4 to Ne 20 which is used in Denim, Terry Towels, Bottom Wears, Home Textiles and Industrial Fabrics, etc. Its manufacturing facility, that is spread over 10,000 square meters, is located at Bhilwara, Rajasthan. The technical team of the company is well equipped with modern spinning technology and processing techniques that ensure the production of quality yarn. The company is presently exporting cotton yarns to countries like Portugal, Italy, Germany, Belgium, South Africa, Slovenia, Columbia, China, Pakistan, Bangladesh and others. They supply to customers that are engaged in fields like apparel and garment industry, industrial fabrics, towels, denim, etc. Lagnam Spintex has been recognised as “One Star Export House” by the Director General of Foreign Trade with a certificate valid from 2017 to 2022. It has also received OEKO Tex certification. It is one of the few cotton yarn manufacturers globally who have received certification from USTER Technologies AG. The business is coming up with an IPO in the next few days. Currently, there are 6 Directors on the Board of the company. Mr Dwarka Prasad Mangal is the Chairman and Whole Time Director, Anand Mangal is the Managing Director, Vijay Singh Bapna is the Non – Executive Director, Dipali Mathur, Anil Shah and Jagdish Chandra Laddha are the Independent Directors of Lagnam Spintex. Dwarka Prasad Mangal has industry experience of more than 45 years including 38 years in the textile Industry. He has retired from the post of Executive Director of RSWM Ltd. Currently, he manages the overall operations of the company. He is engaged in formulation and implementation of business strategy for growth and expansion of Lagnam Spintex. He is the front face of the company in dealing with suppliers, vendors, customers etc. Anand Mangal, who completed his B.Sc. (Honors) in Business & Management Studies from the University of Bradford, U.K. has an experience of 7 years in the field of business administration & Sales and Marketing. He is a great influencer and negotiator. He is also responsible for representing the company to negotiate deals with international customers and it is mainly because of him that the exports of the company have been growing at a rapid pace. Lagnam Spintex IPO will open on September 4, 2018 and close for subscription on September 7, 2018. The IPO size will be of 60 lakh Equity shares and the face value of each share will be Rs 10. 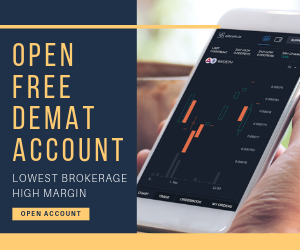 The fixed price has been set at ₹41 per equity share including a share premium of ₹31 per share, aggregating up to ₹2,460 lakhs. The price of ₹41 per share is 4.1 times the face value. The IPO size is expected to be up to Rs 24.6 crores. 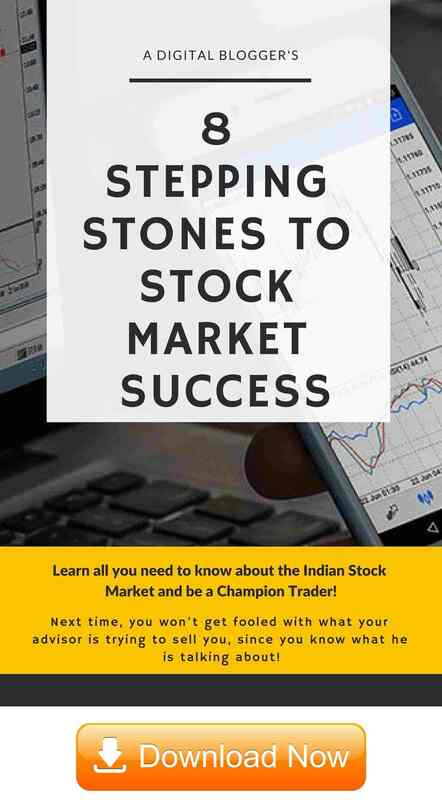 Out of the issue size of 60 lakh shares, 3 lakh shares will be reserved for market makers and the rest 57 lakh shares will be issued to the investors. Out of the 57 lakh shares available for investors, 28.5 lakh shares at the price of ₹41 per share, aggregating up to ₹1,168.5 lakh will be available for allotment to retail investors of up to ₹2 lakh. The other 28.5 lakh shares at the price of ₹41 per share, aggregating up to ₹1,168.5 lakh will be available for allotment to investors above ₹2 lakh. The market lot size is of 3 thousand shares. 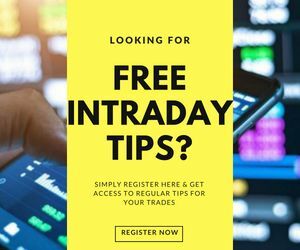 The shares will be listed on the National Stock Exchange or NSE. The Issue of Equity Shares has been authorized by the Board of the Directors of Lagnam Spintex at their meeting held on February 6, 2018 and was approved by the Shareholders by passing a Special Resolution at the Extra Ordinary General Meeting held with a shorter notice on February 10, 2018. During the financial year ended March 31, 2018, the revenue from operations increased to ₹8390.61 lakhs as compared to ₹7503.3 lakhs in the financial year ended March 31, 2017, representing an increase of 11.83%. This increase is majorly due to the increase in production and a better product mix. If we compare the total revenues for the last three years, we will find that the total revenues of Lagnam Spintex have increased from ₹4,983.41 lakhs in the financial year ended March 31, 2015 to ₹8,454.47 lakhs in the financial year ended March 31, 2018 showing a CAGR of almost 19% over the three years. 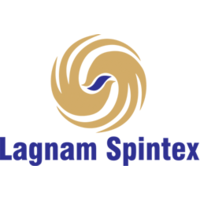 The net profit after tax of Lagnam Spintex has increased from ₹157.82 lakhs in the financial year ended March 31, 2015 to ₹468.49 lakhs in the financial year ended March 31, 2018 showing a CAGR of almost 43% over the three years. The Return on Net Worth (RoNW) for the fiscal years ended March 31, 2016, 2017 and 2018 are 12.21%, 17.69% and 17.72% respectively. To part finance, the setting up of new cotton yarn manufacturing facility – As part of expansion strategy, the company has proposed to set up another spinning unit for manufacturing of Ring Spun Carded and combed yarn with an installed capacity of 25,536 spindles expected to produce 18.6 tonnes yarn per day. To meet expenses related to Lagnam Spintex IPO. Besides these objectives, Lagnam Spintex will benefit the company in increasing its visibility and enhancing their corporate image and brand name. Lagnam Spintex filed the Draft Red Herring Prospectus (DRHP) with the Securities and Exchange Board of India (SEBI) on July 14, 2018 for the fixed price IPO. The offer will open on September 4, 2018 and close on September 7, 2018. Before deciding whether to invest in Lagnam Spintex IPO or not, let us examine its strengths and risks related to the company. Their one of the biggest strengths is their focus on quality and innovation. Also, their management team is quite experienced in the textiles industry. Their decades of rich experience and goodwill in the market provides the business with a competitive edge. Good relations with suppliers which ultimately helps in fulfilling their orders in a timely manner is a good strength they possess. They also share long-term relationships with their clients and constantly try to cater customer needs with products in demand. No strikes, lockout or any labour protest since inception proves that the relationship between management and labour is also cordial. Usage of latest technology and machinery procured from suppliers/distributors in the world also ensures production of good quality yarn. The company also has strategies listed out and promising expansion plans. From the financial point of view, the company has been showing a consistent rise in revenues and profit after tax. But Lagnam Spintex has shown negative cash flows from its investing activities as well as financing activities in the past years. If this continues, it may adversely affect the profitability of the company as cash flows tell us about the ability of a company to grow, pay dividends, repay its loans and execute expansion plans with relying on loans. Some of the risks related to Lagnam Spintex IPO are that there is a certain tax-related proceeding, notices and claims pending with relevant statutory authorities at various jurisdictions against the company. Any adverse rulings may have a negative effect on the business and operations of the company. Also, the project in which the use of proceeds of the Lagnam Spintex IPO is in progress and the company has not still placed orders for machines and pieces of equipment. Changes in technology may make the current technology obsolete. Also, the business is subject to seasonal volatility and the cost of production is exposed to fluctuations in the prices of raw material are some other risks related to the company. Their debt financing agreements contain restrictive covenants or lenders’ options that may adversely affect the business. By looking at the experienced and efficient management, their existing clients and future expansion plans, it may be said that investors may subscribe to the issue. This could be beneficial for them in a long term. Furthermore, if you are someone who is a risk-averse investor, it is better to let this one go and not invest. Holani Consultants Private Limited is acting as the Lead Manager to the issue. BOI Merchant Bankers Limited is acting as the banker and Bigshare Services Limited is acting as Registrar to Lagnam Spintex IPO.